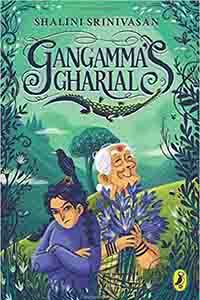 This is the first of a series of comic books of the Tintin genre set in Garhwal. Atul Sethi and Vikas Upadhyay introduce Nakul and Kuku (presumably Sahej) who discover a mysterious book in the Landour bazaar. The book has no writing on its blank pages except for the name of the owner, Isabella Bond – which given the fact that the location is Landour, sends the boys to Ruskin Bond and triggers a whole chain of events. Kuku provides the comic relief while Nakul is the smart one. The Harry Potter influence is apparent – the book once its secret is unlocked – is a time portal which can take people to other times and the blank pages flash into life with messages revealed by firelight. Sethi and Upadhyay put together an entertaining story with historical characters from the hills including Radhanath Sikdar who calculated the height of Everest but was not given due credit by the British and Maharajah Duleep Singh of thePunjab whose kingdom was also taken over by the British Government. 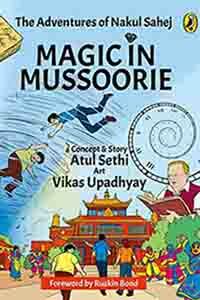 Sethi and Upadhyay overlap the characters throwing in a dose of relevant history for children. 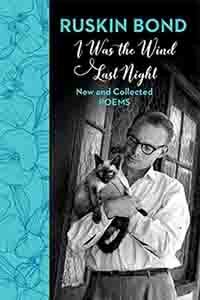 An adeptly drawn Ruskin Bond also appears with the monkeys he describes in his books and the story ends with a gentle twist in the tale. 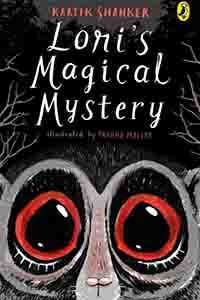 Entertaining and reviving a hitherto ignored genre in Indian children’s literature, the first book is bound to whet appetites for the second – barring appearances like that of Isabella Bond’s granddaughter who has no real contribution to the story beyond some martial arts mystery.